Many graduate and professional schools require applicants to take the Graduate Record Examination (GRE) test. In addition, competitive graduate scholarships and fellowships often require a GRE test in order to apply. The test is offered year round, and all over the country, and is generally taken on a computer. 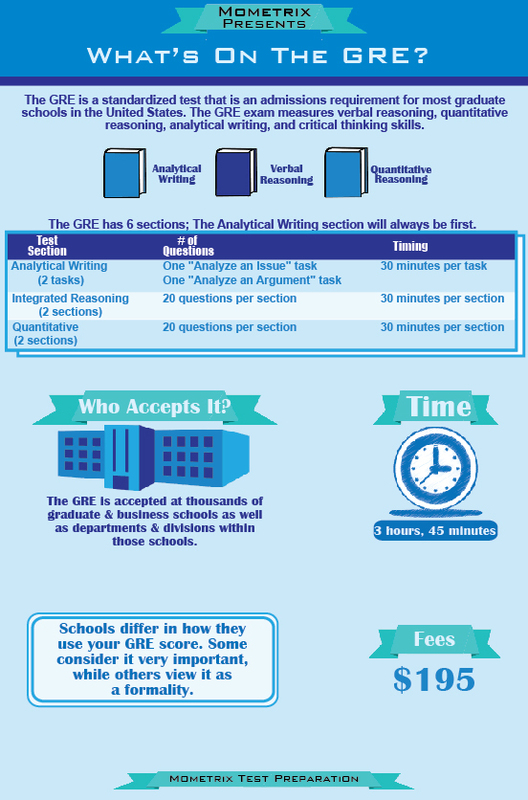 There are three different portions of the GRE test, and three different scores. The essay portion is scored on a scale of 0 to 6, in half point increments. The verbal reasoning and quantitative reasoning portions are scored on a scale of 200 to 800, in 10 point increments. There is no passing or failing cutoff, but the higher your score the better your chances of getting into the program you’re considering. One nice feature of the GRE test that’s highly unusual is the ability to cancel your score. If you take the test but feel like you didn’t do well, or that you could do substantially better, you have the option, before you actually leave the facility, of canceling your score and it won’t count. Of course, you take the risk that you’re canceling a score that’s possibly much better than you think it is, but if you’re convinced you didn’t do well, you have that option. If you don’t cancel, you’ll receive your scores in about two weeks. The actual GRE test breaks down as follows. In the writing portion you’ll write an essay showing your ability to grasp and communicate complex ideas in a logical, well written, and clear manner, and present solid arguments to back them up. The verbal reasoning portion will test your skills at reading comprehension and interpretation, and to recognize relationships between words and ideas. The quantitative reasoning is the math section of the test, and will demonstrate your grasp of basic math, algebra, geometry and data analysis, and your ability at reasoning with numbers. The two reasoning portions are multiple choice. The GRE test is extremely challenging, and should not be taken lightly, considering the impact it can have on both your academic and employment career. For those of you not in the know in the world of invented languages, Esperanto was created in the late 1800s by a Mr. Ludwik Zamenhof of Poland. Zamenhof bemoaned the tension created by the literal inability of we humans to understand each other. In Esperanto he sought to provide a sort of neutral universal second language that privileged no one linguistically, confining us all only by our ability to be articulate, rather than by our familiarity with whatever language happens to be spoken at a given time. While not the world-wide form of communication Zamenhof and other Esperantists have hoped for, Esperanto has grown impressively since its inception. Estimates of numbers of speakers range from 100,000 to 2 million, in 115 different countries; native speakers are estimated to number more than 1000. Many books have been translated and written in Esperanto, and two movies have been made in Esperanto – including Incubus starring William Shatner. It’s Easy. A common argument for learning Esperanto is the ease of learning it: it’s phonetic, grammatically regular, and a relatively small amount of words can be combined to create additional words — so you need to know less vocabulary to sound smart than you would in other languages. In addition to being able to be learned many times more quickly than anything else, studies show that learning Esperanto increases people’s ability to learn a next language. You Can Stay in People’s Houses for Free. Some of these Esperanto-speakers really put their money where their mouths are when it comes to supporting international understanding. There’s a list Esperantists can put themselves on called the Pasporta Serva; speak Esperanto and, bang, you can stay with any of those fellow speakers for free. The list currently has around 1350 hosts in more than 85 countries. Does any other language come with that kind of perk? 4. Which of the following is not a reason given by the author for learning Esperanto? C. It increases speakers’ ability to learn a next language. 7. They chalked their meeting up to __________; it was the kind of lucky thing that could never have happened by design. 8. He was modest in his __________ and did not __________ a promotion to higher levels of responsibility at work. 1. The correct answer is (b). The relationship sought is that of antonyms. The only answer that has that relationship is that of frugal to spendthrift. 2. The correct answer is (a). The relationship sought is one of an adjective to another adjective that is a stronger form of the first word. The only answer that has that relationship is that of dirty to squalid. 3. The correct answer is (b). 4. The correct answer is (d). 5. Decrepit means worn-out or weak. The correct answer, (a) vigorous, means the opposite. 6. Transitory means temporary. The correct answer, (e) permanent, means the opposite. 7. The correct answer is (b). The word sought is one that describes something lucky that does not happen through design. Answer (b), serendipity, fits this meaning. Answer (a) is incorrect as it means the opposite of the word sought. Answers (c), (d) and (e) do not relate to the rest of the sentence. 8. The correct answer is (e). Answers (a) and (d) are incorrect because their second words suggest he didn’t deny a promotion when offered him, while the word that best fits the meaning of the sentence will be one that indicates that he didn’t seek a promotion. Answers (c) and (e) offer words that fit this meaning, but answer (e) is better because ambition fits more logically into the sentence than does habits. Answer (b) is wrong because it is not logically correct to say he was modest in his failures. 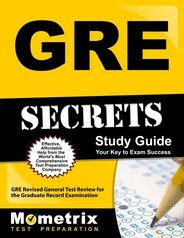 How to pass the GRE Exam! Ace the GRE test using our GRE exam study guide with practice questions. 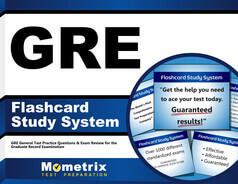 Quickly Solve Difficult GRE Test Questions with the GRE Flashcard Study System.